Allergy season is here! Visit for fast walk-in allergy relief. Sports are an amazing way to get exercise, be social, and improve your overall well-being. But every time you step onto the field, you run the risk of injury. Collisions, poor technique, overuse, or simply, bad luck can leave you with a serious medical issue. Sprains: A sudden twist or fall can put too much stress on your joint, causing the ligaments to overextend or tear. Muscle Strains: running, jumping, throwing, slips, and lifting heavy objects can all lead your muscle or tendon to stretch either suddenly or too much. Fractures (Broken Bones): a collision in contact sports or landing wrong from a fall can lead to an acute fracture. Repetitive impact such as running or jumping can also cause stress fractures. Knee Injuries: acute, sudden trauma, chronic overuse, or a combination of the two can lead to a variety of problems in the knee, the body’s most complex joint. 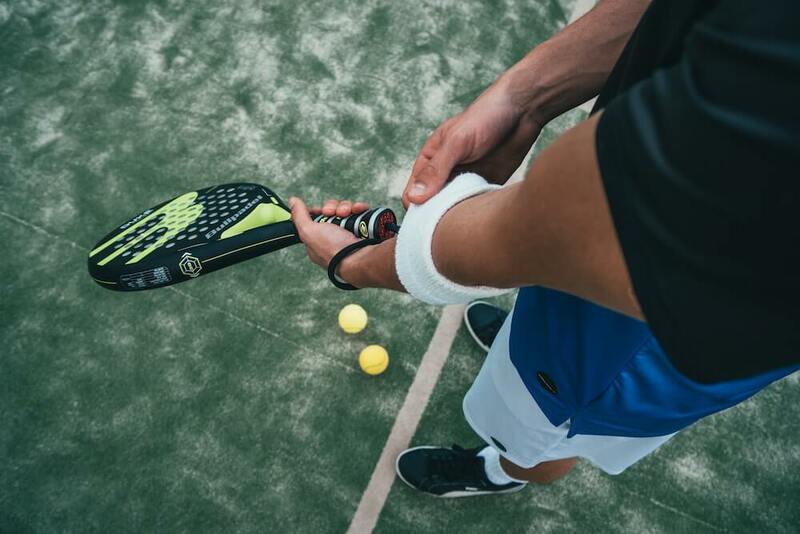 Shin Splints: improper shoes, high intensity workouts, or exercising without stretching can lead to aching shins due to too much stress on the shin bone and its connective tissues. Dislocations: force from a hit or fall can push the bones in a joint out of alignment. Finger, hand, and shoulder dislocations are the most common bones affected. Don’t try to do too much, too soon. Build up your endurance and increase the intensity as your fitness improves. A little pre-participation training can help build muscle and reduce overuse injuries. Always begin activity with a gentle warm-up to increase blood flow to the muscles and improve your flexibility. Cool-down with some light stretching. Make sure the playing field is safe and well-maintained. Watch for sprinklers, holes, and other tripping hazards. Wear protective gear that is appropriate to your sport – helmets, shin guards, knee pads, etc. Clothes and shoes that fit properly are also important! Learn the correct form and techniques involved in your sport. Ensure children in team sports are matched on skill level, weight and physical maturity. All children should have a sports physical before starting a new activity. If you suffer a sports injury, know that our medical team is available to care for you 7 days a week. Simply walk in to receive fast, affordable treatment for sprains, strains, fractures, pain, and dislocations. We can also refer you to a specialist if medically necessary and help coordinate your care. Ready to see a doc? Check your location’s current wait, then reserve your spot to get in line! 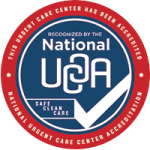 Accreditation is a voluntary process through which an Urgent Care Center is able to measure the quality of its services and performance against nationally recognized standards. Accreditation is a symbol that an organization is committed to providing high-quality care.